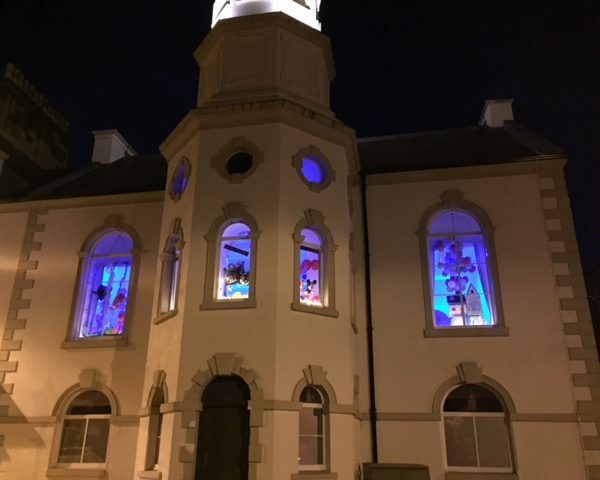 Welcome to the Campbeltown Picture House Window Wanderland, with support from the Tesco Bags of Help initiative. We are very excited to bring this event to Campbeltown and with your help we will transform the streets of the Wee Toon into a film-themed outdoor gallery for all to enjoy! We’ve got free materials, maps, workshops and free hot chocolate and cookies on the nights! Everyone is welcome to join in. You can make a film-themed display in your windows of your flat, house, business, school, nursery, car, van, motorhome or shop. Your display could be as simple as a candle, book, fairy lights or image in a window. Or you could go all out – live performances, projections, sound, simple or spectacular… It’s completely up to you. Anything goes so long as it’s family friendly! We are holding FREE drop in sessions at the Picture House in advance, where you can get some ideas and take away free materials to help to make your display – Friday 9th, Saturday 10th or Saturday 17th March from 12 noon each day. Tesco teamed up with Groundwork to launch its community funding scheme, which sees grants of up to £4,000, up to £2,000 and £1,000 raised from carrier bag sales in Tesco stores awarded to local community projects. greenspace scotland is working with Groundwork to provide support to communities in Scotland. CPH Window Wanderland was shortlisted to receive the cash award in January and February – thank you for voting for us! There will be paper maps available to pick up from the Picture House on Saturday and Sunday. Free materials to make your display – drop into the Picture House from 12 noon on Thursday and Friday, 10.30am on Saturday. Free workshops on Saturday including a ‘stained glass’ workshop from 1pm – 3pm. Please join us, we’d love you to be a Window Wanderer!